An occasional narrative, story, or fun discovery by Chris Bidlack involving the Jet Age or the Golden Era of commercial aviation. The University of Miami Libraries has segmented their collection into five searchable areas: Annual Reports, Brochures, Directories, Manuals, Timetables, and Periodicals. And the best part is that everything is downloadable for further study at impressively high resolutions. Each section could take several hours to explore for the most enthusiastic of Pan Am historians, so be warned. 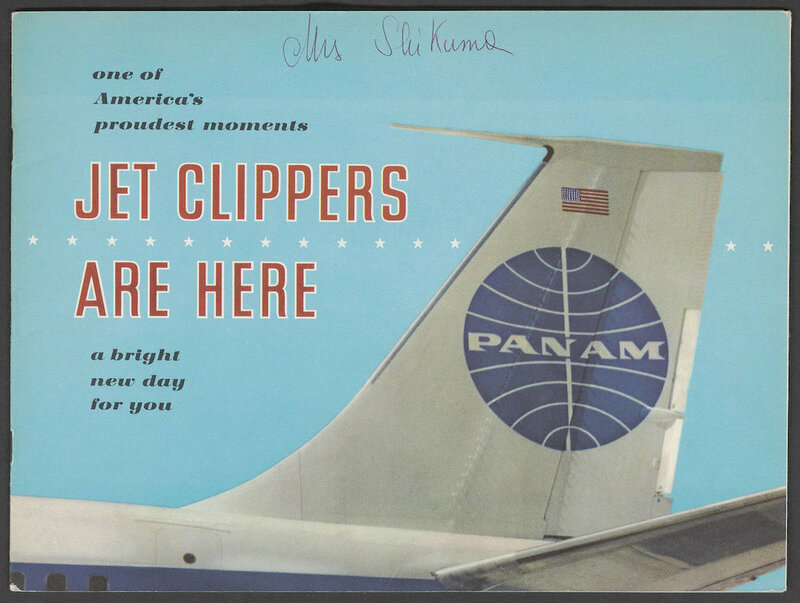 Pan American 707 Jet Clippers brochure cover. The collection contains, in addition to many other printed artifacts, more than one hundred periodical titles (i.e., many hundreds of individual magazines), all originally found in the Pan Am storage boxes. As far as numbers of items, this collection far exceeds other online collections we’ve used (the wonderful online TWA Skyliner collection at the State Historical Society of Missouri comes to mind), and any serious researcher will have a field day exploring. As explained on the website, “…The collection is comprised of fifteen hundred boxes of administrative, legal, financial, technical and promotional materials, as well as internal publications, photographs, audiovisual material and graphic material. A cataloging effort supported by a grant awarded in 2012 from the National Historical Publications and Records Commission (NHPRC) has allowed these materials to be organized thematically. A subsequent NHPRC grant awarded in 2016 later enabled the library to digitize the Printed Materials Series from this vast collection and make it available online. 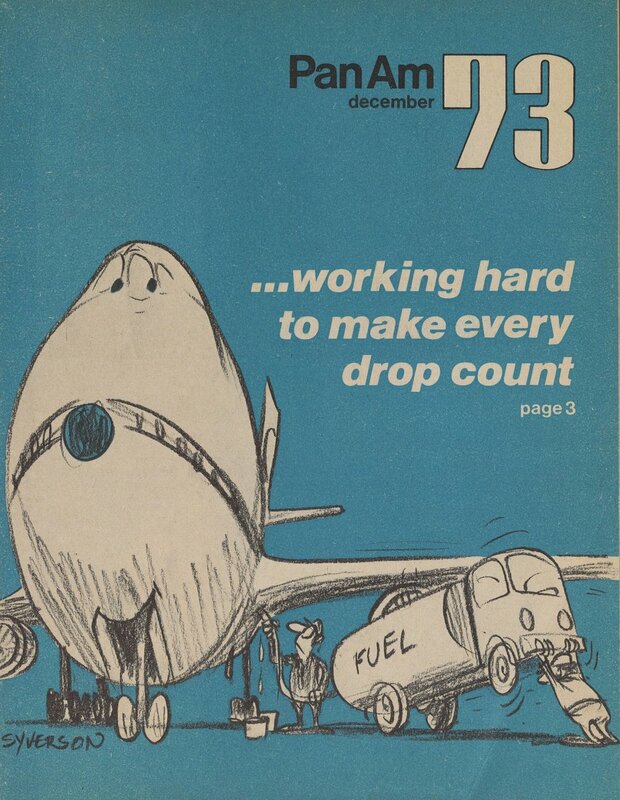 Pan Am “Clipper cover, December 1973. Search all of the University of Miami’s Pan Am records here. The annual reports themselves are here. …And while you're in a Pan Am mood, check out the JetAgeArt.com prints related to Pan Am, specifically Chris's JFK print, and his Jet Age Art Pan Am 727 and the Cold War print, telling the story of the airline’s Internal German Service during the Jet Age. All images: The University of Miami Libraries Pan American World Airways Records Collection.